This project includes a comprehensive renovation of the Kresge Business Administration Library, demolition of the Computer and Executive Education Building, construction of a new academic building, and the addition of exterior building finishes (or cladding) to Sam Wyly Hall, the Business Administration Executive Dormitory, and the Hill Street Parking Structure to create a unified look for the entire Ross School complex of buildings. In total, this project represents approximately 75,000 gross square feet of building renovation and 104,000 gross square feet of new building construction. 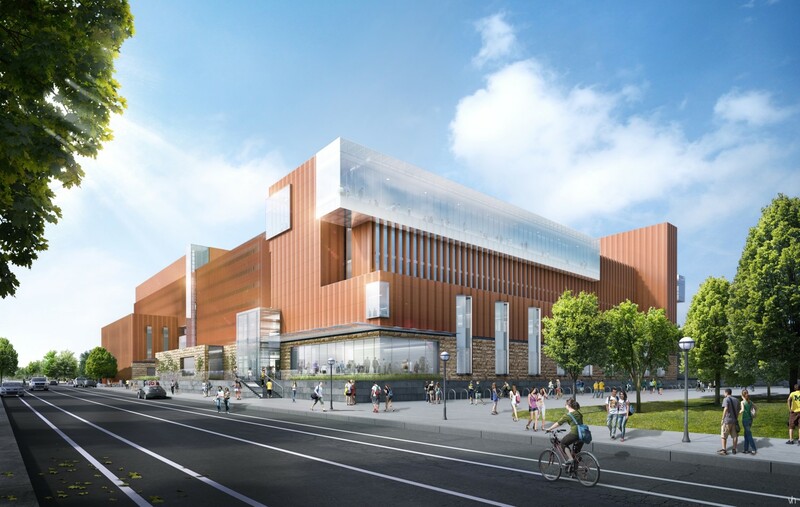 The project will add classrooms, study space, and faculty and research offices, and enhance non-academic operations to improve the student experience, including student life, financial aid, admissions, and onsite recruiting for careers. The new building design will strive to create a welcoming and unified exterior aesthetic along with well-functioning internal connections within the complex.